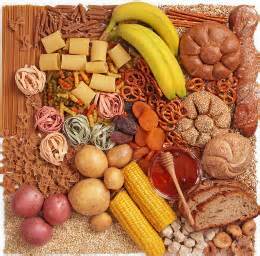 Starchy carbohydrates were a major factor in the evolution of the human brain, according to a new study co-authored by researchers from the University of Sydney’s Charles Perkins Centre and Faculty of Agriculture and Environment. Published in the Quarterly Review of Biology, the hypothesis challenges the long-standing belief that the increase in size of the human brain around 800,000 years ago was the result of increased meat consumption. The research is a blow to advocates of the Paleo diet, which shuns starch-rich vegetables and grains. “Global increases in obesity and diet-related metabolic diseases have led to enormous interest in ancestral or ‘Palaeolithic’ diets,” said Professor Jennie Brand-Miller from the Charles Perkins Centre, who co-authored the research with Professor Les Copeland from the University of Sydney’s Faculty of Agriculture and Environment and international colleagues. According to the researchers, the high glucose demands required for the development of modern humans’ large brains would not have been met on a low carbohydrate diet. The human brain uses up to 25 per cent of the body’s energy budget and up to 60 per cent of blood glucose. Human pregnancy and lactation, in particular, place additional demands on the body’s glucose budget, along with increased body size and the need for mobility and dietary flexibility. Starches would have been readily available to early human populations in the form of tubers, seeds and some fruits and nuts. But it was only with the advent of cooking that such foods became more easily digested, leading to “transformational” changes in human evolution, said co-author Professor Les Copeland. Researchers also point to evidence in salivary amylase genes, which increase the amount of salivary enzymes produced to digest starch. While modern humans have on average six copies of salivary amylase genes, other primates have only an average of two. The exact point at which salivary amylase genes multiplied is uncertain, but genetic evidence suggests it occurred in the last million years, around the same time that cooking became a common practice. “After cooking became widespread, starch digestion advanced and became the source of preformed dietary glucose that permitted the acceleration in brain size,” Professor Copeland said. According to the researchers, a diet similar to that which gave us our large brains in the Palaeolithic era would be positive for human health. However, unlike the modern Paleo diet, that diet should include underground starchy foods such as potatoes, taro, yams and sweet potatoes, as well as more recently introduced starchy grains like wheat, rye, barley, corn, oats, quinoa and millet. “It is clear that our physiology should be optimised to the diet we experienced in our evolutionary past,” Professor Brand-Miller said. The study was co-authored with international researchers Dr Karen Hardy (Universitat Autònoma de Barcelona) and Professor Mark Thomas and Katherine Brown (University College London).